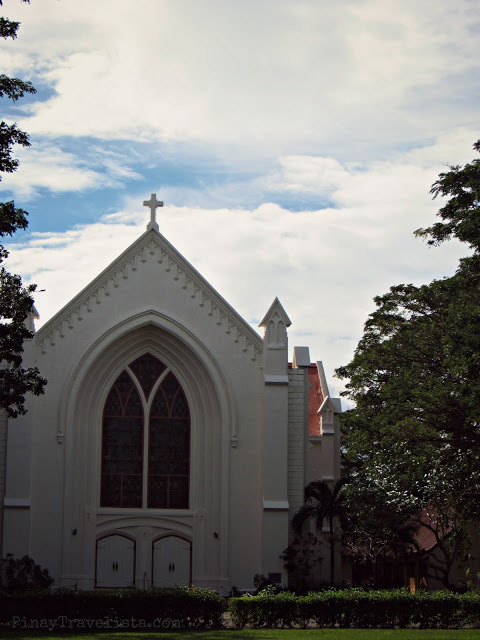 The Silliman University Church is a favorite on campus. Right on the right side when you make your entry by the West Portal gate, you can see empty space that spreads, and a church at the other end of the field. And I say that even if we were not lucky enough to visit the interiors of the church. I like the massive doors up front, that is without any carvings of some sort. Just your plain wooden planks held together, painted in white, and framed in near chestnut of colour to accentuate the old marble tile pattern on landing of the steps. A typical American-influenced architecture, different to the churches built during the Spanich period that is rich of texture, massive, and solid structures. People say that it is Neo-gothic in architecture — but I would not know anything about that. But it does resemble old UCCP, and Methodist church. I wished we were able to visit the interiors. I’ve saw several images of it, and I was a bit disappointed that we were not able to check out for ourselves. 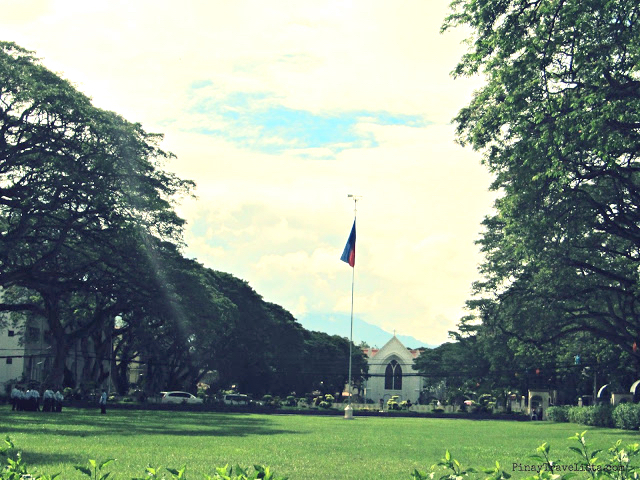 But I was contented by the the large front lawn framed by lined Acacia trees with rich foliage spread in like a hood of an umbrella by it’s large branches. The pews painted in Leprechaun green neatly arranged in a semi – circular pattern fronting the small church facade. And a pathway so you will not disturb the green grass under your feet carpeting the field with only but small patches of brown showing the earth beneath it. I could picture long, not-so-sunny afternoons here with anyone interesting, and comfortable enough even to sit there in silence. But since I was traveling in a group, a thought of maybe a pen, and my journal with me on a lazy afternoon would suffice. But ofcourse, I kept that to myself. I was with friends with me that day, and travel is always different when you have company.